Dr. Brett A. Steinberg is a neuropsychologist who specializes in neurological and psychiatric disorders of adulthood, old age, and adolescence. After earning his B.S. in Psychology from the University of Massachusetts in Amherst, Massachusetts, and his Ph.D. in Clinical Psychology from the University of South Carolina in Columbia, South Carolina, he completed his pre-doctoral internship at the Gainesville Department of Veterans Affairs Medical Center and the University of Florida Health Sciences Center in Gainesville, Florida, and his postdoctoral fellowship in Clinical Neuropsychology at the University of Michigan Medical Center in Ann Arbor, Michigan. In addition to providing diagnostic and psychotherapeutic services to individuals, couples, and families in a variety of outpatient and inpatient settings, Dr. Steinberg has served as a consultant to the New Haven Superior Court for Juvenile Matters and to the Learning Disabilities Association of Connecticut. As an investigator, he has conducted behavioral and functional neuroimaging research on age-related changes in brain structure and mental abilities, has studied the influence of concussion on cognitive processes and the effects of practice and premorbid cognitive ability on neuropsychological test scores, and has explored factors that affect jurors’ decision-making and retention of information presented at trial. 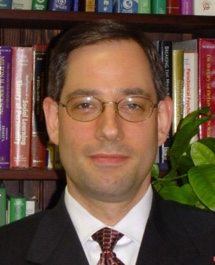 Dr. Steinberg has served as Assistant Professor of Neuropsychology and Clinical Psychology in the Department of Psychology at the University of Connecticut in Storrs, Connecticut, and as Adjunct Assistant Professor of Psychiatry in the Department of Psychiatry at the University of Connecticut School of Medicine in Farmington, Connecticut. He has taught graduate courses in neuropsychological assessment, research design, and the neurobiology of aging. In addition, he has taught introductory psychology at the undergraduate level and has trained psychiatry residents and clinical psychology interns. His administrative and professional activities have included serving as a member of the University of Connecticut’s Institutional Review Board, as secretary of the Association of Doctoral Education in Clinical Neuropsychology, and as a member of the International Neuropsychological Society’s Scientific Program Committee. Dr. Steinberg joined Comprehensive Neuropsychological Services in 2002.